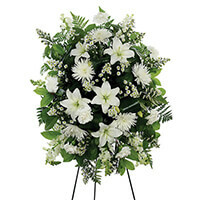 Provide comfort for the family of Elizabeth Clark with a meaningful gesture of sympathy. Elizabeth H. Clark, Age 62, February 6, 2019. 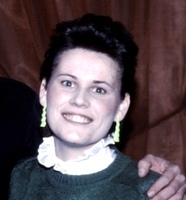 Beloved wife of the late Mike Clark. Devoted mother of Michael Clark and Jeanne Clark. Loving G of Ayden and Noah. Dear sister of Jeanne Neilson and the late Caroline Clark, also survived by many loving nieces and nephews. Relatives and friends are invited to her Visitation Saturday morning, Feb. 9th, 11:00 A.M. at Vincent Gangemi Funeral Home, Inc. 2232-40 S. Broad St. (at Wolf St.) Funeral Service to begin at 1:00 P.M. Interment Private. 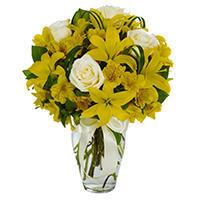 To send flowers in memory of Elizabeth H. Clark, please visit our Heartfelt Sympathies Store. Dee Smith and family and Cousins Bil & Susan Hawthorne have sent flowers to the family of Elizabeth H. Clark. Dee Smith and family purchased the BRIGHTEST MEMORIES for the family of Elizabeth Clark. I will miss you Aunt B, I have so many fond memories of our times together with you and Uncle Mike. I know that you are at peace now, say hi to Uncle Mike, Aunt Car and Grammy for me. Our deepest sympathies to Beth's family. Cousins Bil & Susan Hawthorne purchased the WHITE STANDING SPRAY for the family of Elizabeth Clark.